The Dublin pub that got dismantled, shipped to Zurich, and put back together again. | Come Here To Me! « It could have been Prince Albert opposite Trinity, not Henry Grattan. The Dublin pub that got dismantled, shipped to Zurich, and put back together again. Hotel bars are by no means the best bars. Yet Jury’s Hotel on Dame Street contained a beautiful antique bar, and when it was due to come under the hammer with the closing of that hotel, it was to end up in the most unusual of places. 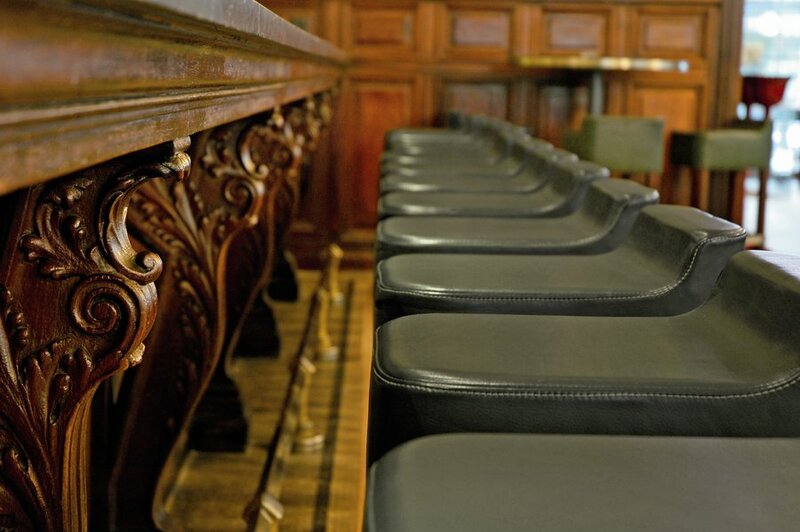 Jury’s stood in what is today the location of the Central Bank on Dame Street. 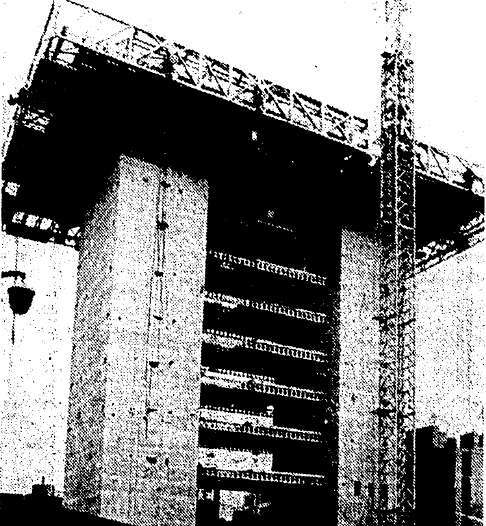 A grand premises, as the Irish Independent of October 4 1972 would note, with 95,000 sq. ft. in the 156 bedroom property on the corner of Dame Street and Anglesea Street. Only two doors away, construction was already underway on the Central Bank. There was due to be an auction on March 6th 1973 which would have seen the contents of the bar auctioned, but a group of businessmen from Zurich purchased the bar for a five figure sum in advance of this. The bar was to be removed to Zurich in its entirety, containing, among other features “a marble-top counter, brass footrails,decorative wall panels and lead light windows”. Construction underway at the Central Bank. Of course, James Joyce had strong connections with Zurich, having lived there and indeed being buried in the Fluntern Cemetery near Zurich Zoo. Joyce had left Zurich for Paris in 1920, but returned in 1940 fleeing the fascist occupation of France. For over thirty years the bar of Jury’s Hotel from Dame Street has sat in Zurich, named ironically in honour of a Dubliner who felt the need to leave Dublin to make it as a writer. Did you make it there for a visit? Amazing building inside (aside from the exhibits).